Submit your project to the Student Incubator! 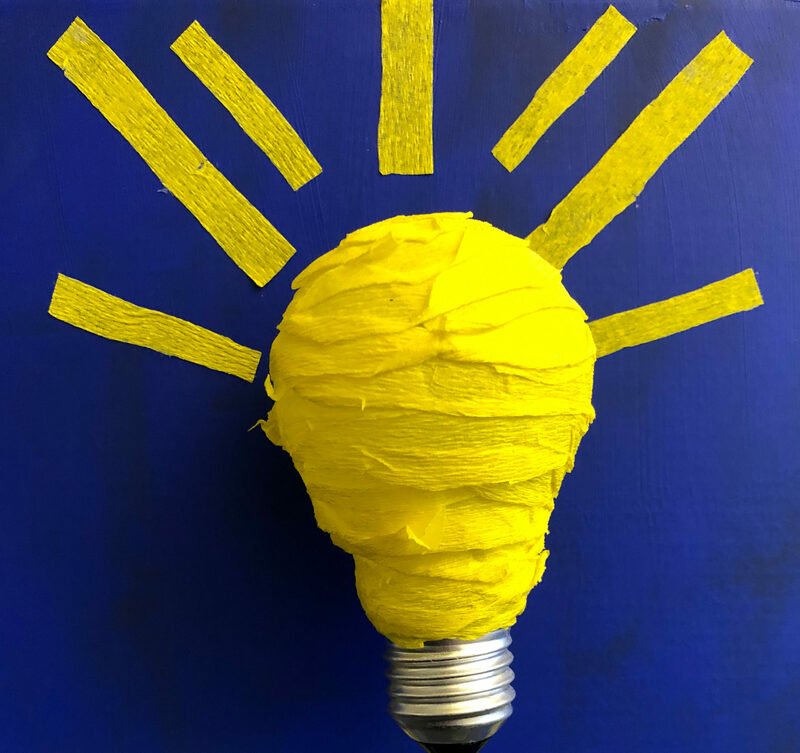 Gain valuable experience in the field of innovation, increase your creativity and create real impact in achieving your goals by working on your own project. The student incubator offers various types of support in order to help you study and work on your project at the same time. You can win up to CHF 5000.- (of which CHF 1000.- as a discretionary grant). Through this financial support, the program aims to alleviate entrepreneurial fears and to recognize your efforts in developing the project. Additionally, a coach, acting as the first point of contact for all expert questions, will be accompanying your projects in order to ensure that you have adequate advice whenever you need it. The Student Incubator is an incubator program of the Smart Living Lab, established through the support of the Baloise Group. The program offers both financial support and expert coaching to its participants in order to provide the best possible assistance for students aiming to turn their project ideas into reality. The program is available for all students (Bachelor, Master or PhD) studying at one of the Smart Living Lab’s partner institutions (École Polytechnique Fédérale de Lausanne, School of Engineering and Architecture of Fribourg and University of Fribourg). The main condition for participation in the program is that the proposed project relates to at least one of the Smart Living Lab’s research areas: well-being and behaviors, interaction and design processes, energy systems and construction techniques. Next deadline for Project Request: 10 June 2019. Any questions? Subscribe to our next information event on 21 May 2019 from 12:15 to 13:00 by email. Are you ready to submit your project? 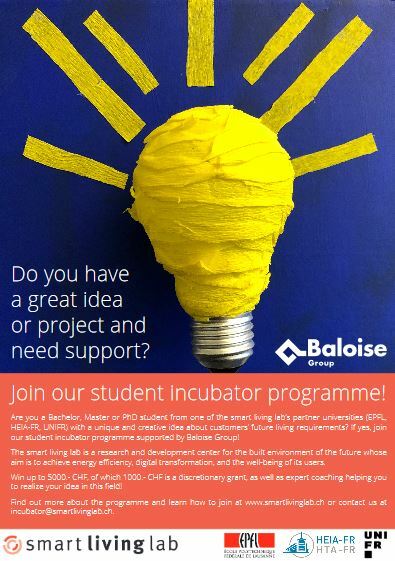 Fill out the “Student Incubator Programme Application Form” and submit the completed form by email. Are you a student interested in submitting your own project and want learn more about the program? Read the Rules and Guidelines for Students. Are you a potential coach and want to obtain further information on the program? Read the Rules and Guidelines for Coaches.